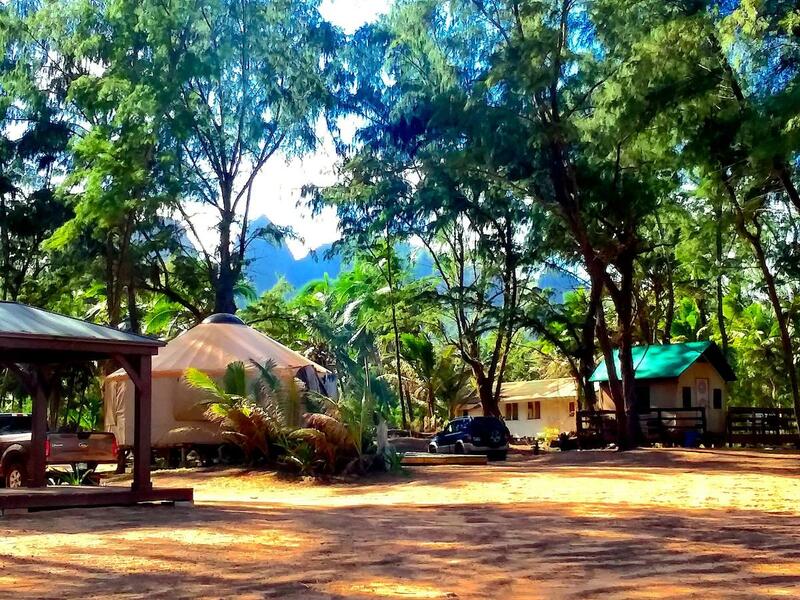 Kumu Camp - "A Campground Like Home"
Located at beautiful Anahola Bay on the island of Kauai, Kumu Camp features high end camping Tentalows with Queen or Twin size beds, complete with private hot-water showers. Also available are campsites around the property, for individuals or groups to pitch tents with access to common area showers and bathrooms. Kumu Camp is available year-round subject to availability, for retreats and over-night stays by the community and larger public. Many families simply stay at the Kumu Camp to enjoy the beautiful rural setting to experience the great outdoors, night skies, the drum of the ocean and the calm and peace of Kauai. In addition, Kumu Camp is open for day use by the general public for a “day at the beach”, special gatherings and other special outings Common retreats and overnight stays by various guests include Cultural Training, Yoga, Meditation, Church Groups, Canoe Paddling, Family or Class Reunions, among others. The site includes access to out-door pavilions, various size party tents, a yurt conference room, beach volleyball, water sports, massage services, yoga classes, a certified kitchen located a mile from Kumu Camp. Check out our website for all upcoming events and activities!